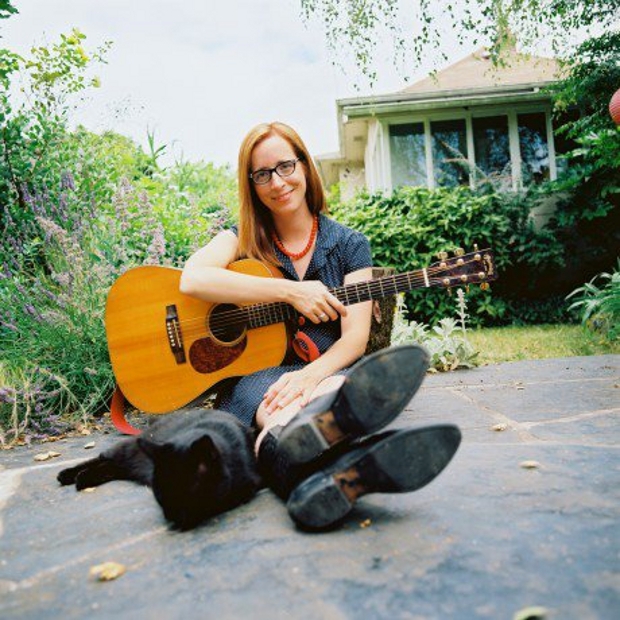 It’s the first of February at The Lowry in Salford, and tonight gracing the stage is another of Portland’s exports, folk songstress Laura Veirs. Veirs has been a regular on the American circuit for some time now; having released seven albums, but this is the first time her presence in the UK has really been felt, with interest from the Guardian and an interview booked with BBC Radio 6’s Lauren Laverne. Promoting her new album of children’s music, Tumble Bee: Laura Veirs Sings Folk Songs for Children, the gig promises to be a cosy and warm alternative to the sub-zero temperatures outside. Inside the concert venue is pitch-black and silent, apart from for the acts onstage. The night is opened by Alessi’s Ark, 20 years old singer-songwriter who plays a selection of delicate tunes, producing a gentle sound expected of someone far beyond her years. Her songs weave in and out of each other, gently and softly executed. The stand out track for me was ‘Woman’, a beautifully understated song at first with a few notes accompanying subtle vocals, juxtaposed with a powerful addition of bass notes in between verses. Alessi remains elusive to the crowd, finishing her pieces with a simple, “Okay,” but I suspect we will hear more of her in the year ahead. After a quick interlude Laura Veirs enters the stage, and her presence could not be more different. Dressed in a vintage green dress and a hairdo reminiscent of Zooey Deschanel, Veirs is a kooky and charismatic performer. She spends time inviting the audience to engage with her anecdotes of touring, inspiration for songs and sharing embarrassing secrets about the backing band, made up of a viola/piano player and lead guitarist, which gigs the show a homely, friendly atmosphere. In contrast, her songs are mellow and brooding, echoing fellow Portland band Decemberists. She plays a range of songs taken from albums ‘July Flame’ and ‘Carbon Glacier’ but samples some of her new folk songs for children. ‘All the Pretty Little Horses’, is a sweet but darkly sounding lullaby, made up of haunting harmonies and a stunning viola accompaniment. This is followed by ‘Little Lap Dog Lullaby’, a more upbeat and jolly number, enlisting audience participation which goes down extremely well. It leaves me to wonder whether this music is too good for young ears! A heckler at the front demands an impromptu performance of ‘Through December’. Dark and dramatic, sorrowful but beautiful, the song is a fitting tribute to the weather outside. It is an impressive showcase of the band’s improvisational skills. However I must admit, my personal favourite of the night is ‘Wide Eyed and Legless’, a rollicking good folk tune with a driving, gritty viola part. I highly recommend a listen. This show was definitely a winter warmer, charming yet dark, and far better than any cup of cocoa. Laura Veirs is certainly one to watch. A lovely gig.